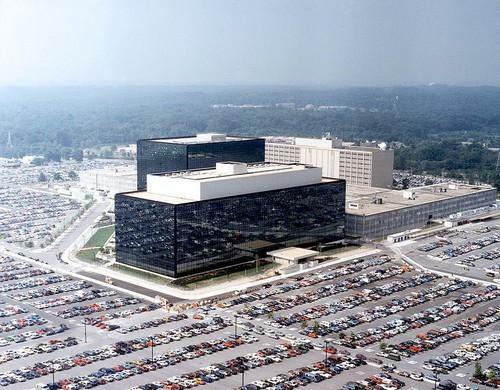 Reform Government Surveillance, an organization that represents large technology companies like Google, Apple and Microsoft, on Tuesday pressed the U.S. Senate not to delay reform of National Security Agency surveillance by extending expiring provisions of the Patriot Act. The House of Representatives voted 338-88 last week to approve the USA Freedom Act that would, among other things, stop the controversial bulk collection of phone records of Americans by the NSA, including by placing restrictions on the search terms used to retrieve the records. The bill has run into opposition in the Senate from some Republican members who are backing renewal of the current Section 215 of the Patriot Act that provides the legal framework for the phone data collection. The urgency for Congress to pass legislation comes from the upcoming expiry on June 1 of certain parts of the Patriot Act, including Section 215. Under a so-called "sunset" clause, the provisions will lapse unless reauthorized in the same or modified form by legislation. A bill introduced by Senate Majority Leader Mitch McConnell last month would extend the surveillance provisions of the Patriot Act until 2020. To apparently buy time as pressure builds for reform, another bill has been placed on the senate calendar to extend Section 215 and other expiring provisions in the current form up to July 31. The technology companies said that the USA Freedom Act prevents the bulk collection of Internet metadata under various authorities, and provides for transparency about government demands for user information from technology companies, besides assuring that the appropriate oversight and accountability mechanisms are in place. The USA Freedom Act aims, for example, to revise the conditions for national security letters, which are used by the government to get information from wire or electronic communication service providers and other agencies. Recipients will be able to challenge the national security letters or the nondisclosure conditions, or "gag orders," usually associated with these letters. The open letter from the tech companies to members of the Senate states that delaying action on reform would be "a missed opportunity." The companies that have come together in the Reform Government Surveillance group are AOL, Apple, Dropbox, Evernote, Facebook, Google, LinkedIn, Microsoft, Twitter and Yahoo.